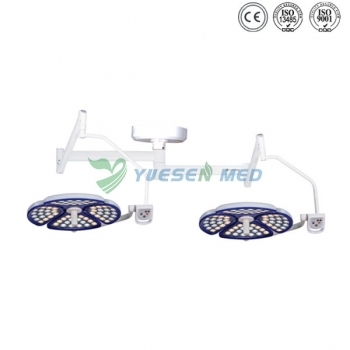 YSOT-Z4040 shadowless operation lamp is suitable for the requirements of various operation conditions and it is ideal operating lighting equipment for modern operation rooms and clean operation rooms. ◆ An imported LED cold light source is adopted. ◆ With electric focusing function. ◆ Nano coating and die-cast aluminum enclosure creating a streamlined excellent cooling effect. ◆ Digital means are adopted for stepless regulation of LED brightness. ◆ The removable handle sheath can be disinfected at the high temperature of 135 ℃. ◆ The no welding titanium alloy arm,Imported spring arm is lifted and lowered easily and freely. ◆ The imported switch power supply is adopted to control the voltage, making the work voltage permanently stable. ◆ Adjustable color temperature, R9 features that enhance the red color rendering index. 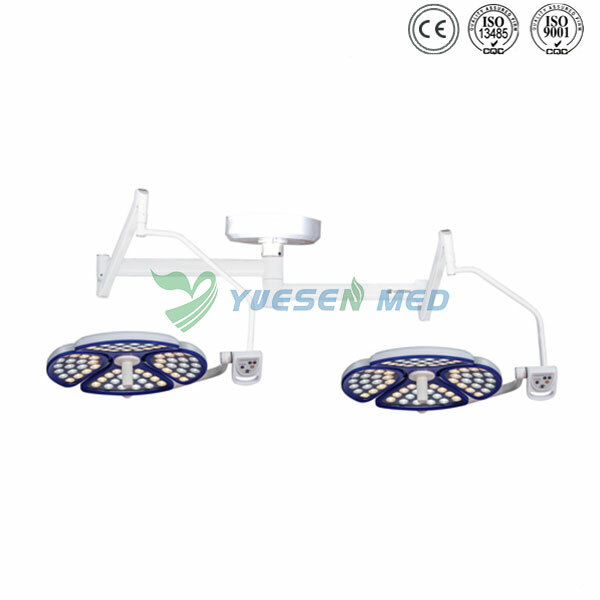 ◆ The service life of LED shadowless lamp is long (50,000h).